Open the race distance below to find your race time! This event is organized annually by the local non-profit Vancouver International Marathon Society. We look forward to seeing you at the next RUNVAN® Race. Thank you! Don’t miss the next RUNVAN® Race! 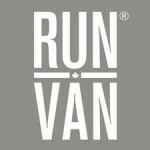 See up-coming RUNVAN® events.